This 34mm. 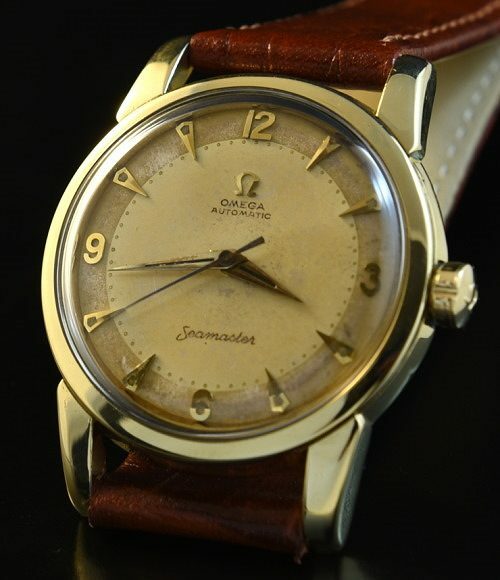 OMEGA SEAMASTER is an original example. The dial and Dauphine hands with fine patina are original. The automatic winding caliber 501 movement was just cleaned and is accurately keeping time. The gold capped case with steel back gleams and has the OMEGA winding crown. I love the patina on the two-tone dial with raised gold toned Arabic and triangular markers.